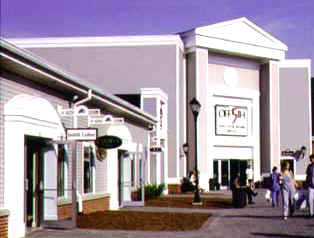 Woodbury Common Premium Outlets, is an outlet center located in Central Valley, New York. The mall now has 220 stores occupying more than 800,000 square feet. Lee is located in the heart of the Berkshires. 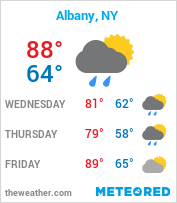 Less than an hour's drive from Albany NY. Many tourists find that Lee is a perfect place to stop and shop. 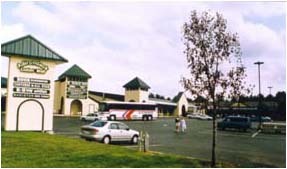 The Lake George Factory Outlets are located 45 minutes north of Albany. The Factory Outlets of Lake George like Adirondack Outlet Mall, Mountain View Outlets, French Mountain Commons, Lake George Plaza are contained within one-half mile.